Looking for stunning tropical destinations that won’t break the bank? Join the club. It seems like a truly Utopian dream: a tropical paradise that offers all the trimmings — minus all the exorbitant prices. Well, I’ve spent the last decade of my life chasing the dream (of living in a sarong on an idyllic stretch of beach for months on end), and I’m going to let you in on a secret: these tropical destinations really do exist. Sure, you may have to fork out a little more on a plane ticket, and you may want to have more than a week up your sleeve (winter lasts longer than that, anyway), but if you’re after a little corner of paradise to while away a few weeks while everyone else freezes back home, then best pack your bags right this minute. Paradise waits for no traveller. Sleepy Amed Beach, Bali, Indonesia. If epic surf, delicious food, and gorgeous guest houses by the beach are your thing, then Bali is where you’ll want to head. This famous tropical destination is anything but overdone — despite what everyone else will have you believe. Just bypass over-touristed Kuta and you’ll discover a wonderful, laid-back, and super-friendly haven that’s made for relaxing vacations. Choose between the cooler temps and uber-trendy vibe of Ubud in the highlands, the glorious reefs off the coast of Candi Dasa on the east, or pick just about any spot on Bali’s north coast where you’ll find dolphins, boat rides, amazing grilled seafood, and very, very few tourists. Bali offers 101 options, and if you’re willing to go beyond the usual hot-spots, you’ll discover an island that’s steeped in ancient traditions and outstanding natural beauty. Life is blissfully easy and inexpensive in Bali, making it one of the world’s best hubs for digital nomads. But there’s more to it than that. 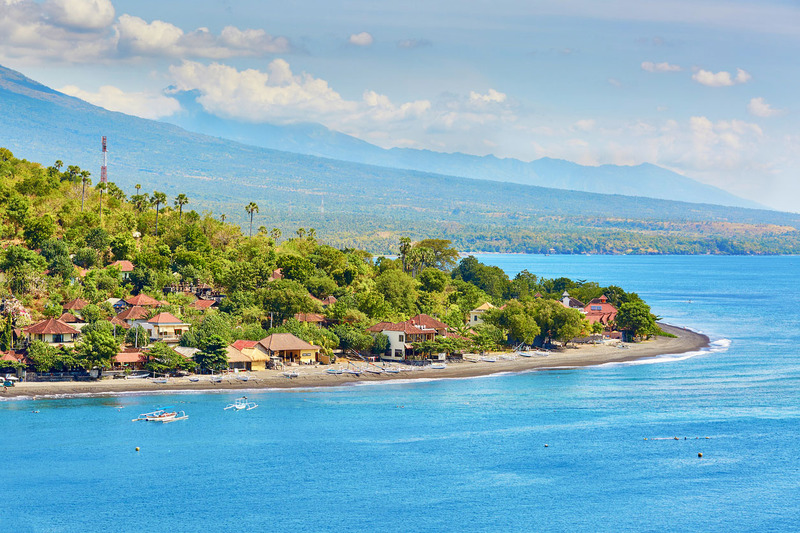 With exceptional beaches, friendly locals, and a lifestyle that just screams ‘tropical paradise’, Bali is the bees’ knees, helped by the fact that delightful Lombok and the unplugged Gili Islands are all but a short boat-ride away. 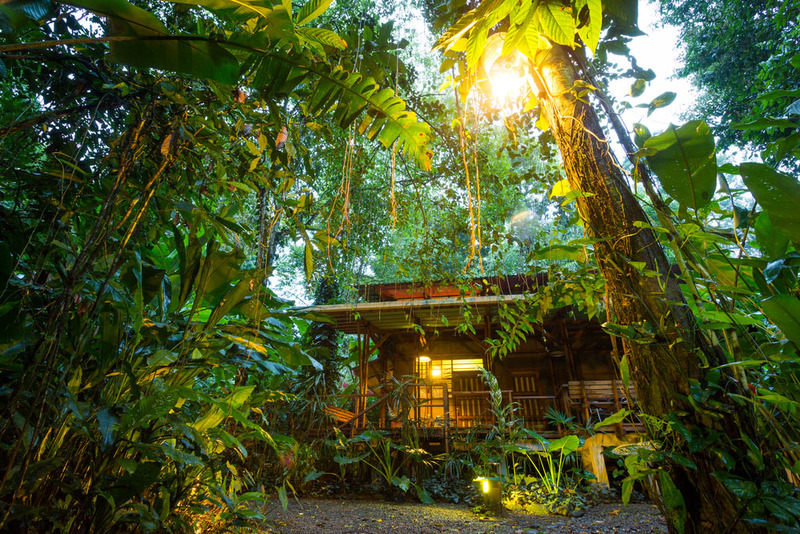 Tropical Destination Eco lodge, Puerto Viejo, Costa Rica. Costa Rica still remains one of the most popular choices for tropical destinations in the heart of the northern winter. The eco-adventure-tourism capital of the Americas is a hard one to overlook, its tropical wilderness offering an abundance of activities for thrill-seekers. Ziplining, canyoning, whitewater rafting, horse-riding, mountain biking. You name it and, if it’s totally fun, you can probably do it here. What’s more, you’ll be pumping your adrenaline in a luscious landscape that’s brimming with active volcanoes and tropical rainforests. For these reasons, Costa Rica suits nature-lovers who love to be active on vacation. If you’re happy to just lay on a beach and sip cocktails then by all means go to Mexico, but if you can’t sit still for more than a minute and just want to get out there, then Costa Rica’s the one for you. Mind you, there are still plenty of glorious beaches for relaxing afternoons. Families and honeymooning couples tend to congregate on the central Pacific coast (the headquarters of all-inclusive resorts), but if you’d love a more traditional, charming, and rustic (not to mention less crowded) stay, then head to the Caribbean coastline instead. Puerto Viejo, Cahuita, and the startling Tortuguero National Park receive fewer visitors than any of the hubs on the west coast, which can make your stay all the more enjoyable. While you are there, check out our guide to Costa Rica’s Must-See Volcanoes. Colorful Clocktower Tower Gate, Cartagena, Colombia. garytog/istockphoto.com. 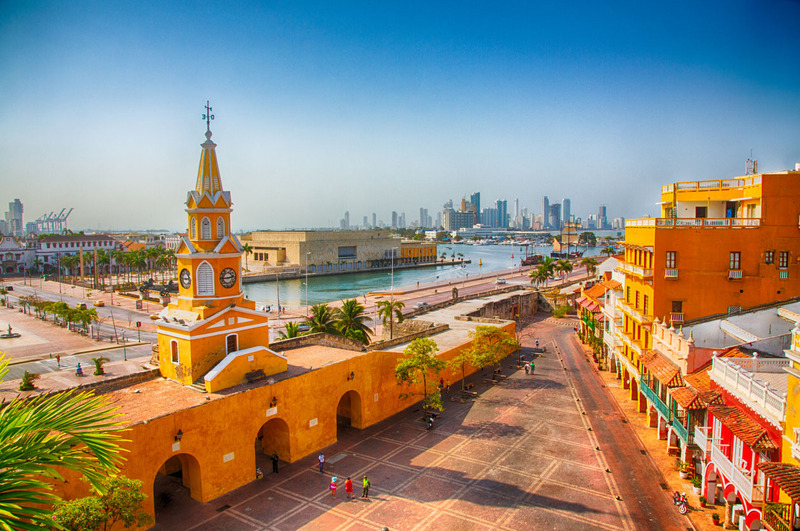 If you’d love an infusion of history and culture on your tropical vacay, then set your sights on Cartagena, one of the most magnificent architectural treasures in all of Latin America. The colonial-era historic centre is insanely charming and offers a colorful abundance of shopping, gastronomic feasting, and sightseeing. When you’ve had your fill of city-life, just hop on a boat and head straight for the Rosario Islands, one of Colombia’s prized jewels and one of our top picks for tropical destinations. This sparsely-populated archipelago is only one of many along Colombia’s coastline but, in many ways, it’s the most impressive. A marine reserve that’s been left mostly undeveloped and unspoiled, the Rosario Islands are easy to reach and offer the kind of ‘Caribbean dream holiday experience’ that would cost an absolute fortune further north. We’re talking swaying palm trees along white sandy beaches, turquoise seas, an abundance of underwater treasures that entice snorkelers and SCUBA-divers, and a handful of super cool places to stay. Just fight the urge to only visit on a day trip – with 3+ hours allocated to transport alone, a day-trip really is counterproductive to relaxation! Sunrise Beach, Koh Lipa, Thailand. 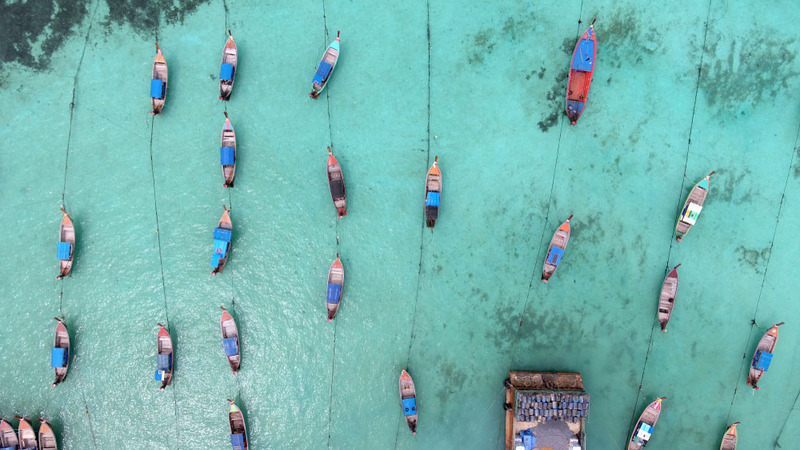 Alongside Bali, Thailand is an incredibly popular choice for tropical destinations thanks to its abundance of sun, beaches, grilled seafood and super friendly locals. Thailand is also cheap as chips, which never really hurts. However, if you were to head to famous hubs like Phuket and Krabi in winter, you’d have to elbow your way through the crowds just to find a little square of sand to park your rear end. And, in my book, that’s a sure way to ruin a tropical vacay. So, head to Koh Lipe instead – you will spend a little more, but when you see the kind of ‘paradise beaches’ that await you here, you’ll forget all about the few extra dollars. Coined the ‘Maldives of Thailand’, Koh Lipe is in a league of its own in the country — crystalline and balmy seas, fantastic accommodation, unreal stretches of sandy shores, snorkeling, amazing food, and completely devoid of tourist crowds. Koh Lipe is the only inhabited island in the Adang Archipelago, and it’s so far down the coast of Thailand (just to the west of Malaysia’s Langkawi Island – another gem) and time-consuming to reach, that 90% of visitors to Thailand simply give up and stay in Phuket instead. This spells fabulous news for all you intrepid adventurers! Lipe’s remoteness is certainly part of the appeal and if this were anywhere else, it would be plastered all over Instagram. So do yourself a favour and be the one to break the mould — promise you won’t regret it.